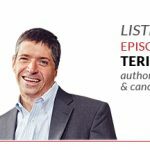 I am so honored to have an author, speaker, and trainer, Brian Buffini, as my guest on the inaugural episode of the Live Inspired Podcast. A few years ago I shared a stage with Brian at his event, The Success Tour, where we spoke to a stadium with thousands of real estate professionals. Little did I know that that day I would meet my mentor and a dear, dear friend. Brian’s direction has helped me to improve my speaking, business, faith, family life and led directly to me writing and releasing my bestselling book ON FIRE. Brian is an expert in the real estate industry, but his vision applies well beyond and continues to inspire thousands of people each year. Today, you are among them! 1. My favorite takeaway from this episode is the lesson Brian learned from his grandpa: The rule of asking yourself after everything you do: “Can you put your name on it?” On your days. Activities. Business. Faith journey. Life. It’s a simple thing to remember and could profoundly impact your day! 2. Order Brian’s book Takin’ Care of Business here. 3. 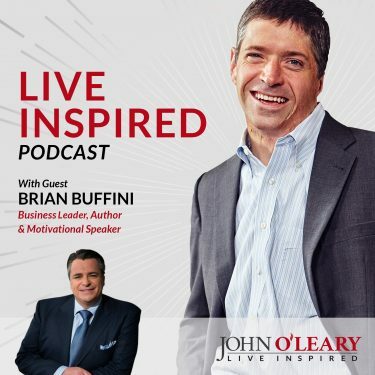 Check out the Brian Buffini Show Podcast (John’s favorite episode is 11). Give it away. I don’t want anything from anyone. The question is 9 years to late for me! If I could have known, what I would have gotten: all the video tapes of my kids growing up. Those are the only things I miss. Jesus. Just one dinner, breaking bread with him would be great. But also Alexander the Great, Julius the Great, Winston Churchill, Ronald Raigan, Mother Teresa. Work more on yourself then you do on your job. You can double your income as fast as you double your self-esteem. Trust God. Enjoy the journey. It’s going to be alright. Loved God. Loved his family. Helped the people he came in contact with. If you enjoyed today’s episode, subscribe on Apple Podcasts or Stitcher or on the player below. I can’t wait to see you here next Thursday! Until then, remember: Today is your day. Live Inspired. Great interview! I love “Can you put your name on it?” Good question to ask yourself. Thanks again for making the day uplifting.